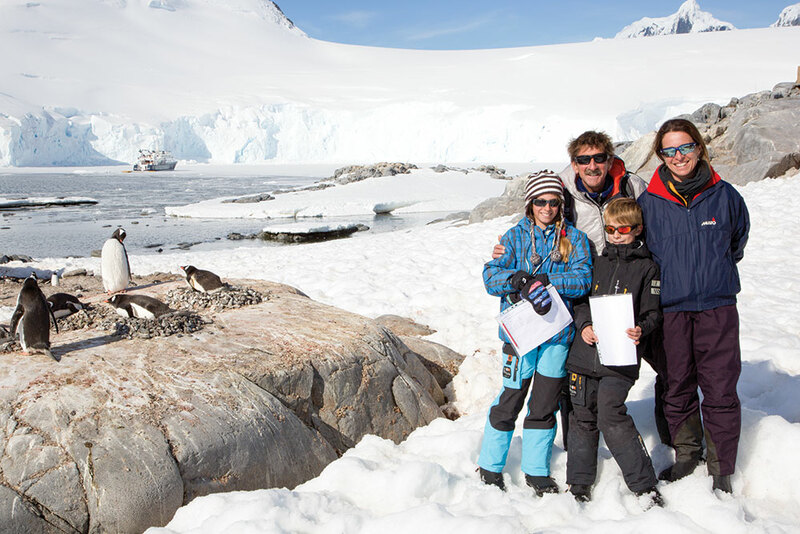 The Novak family inspect the gentoo nests. Since they were born I have been away from home usually twice per season, sometimes for four or five weeks at a stretch. You can send a picture or two via email from on board and later explain to them what you were doing, but it is never as good as standing on the edge of a gentoo penguin colony watching the chicks hatch from their eggs right before your eyes, surrounded by glaciers, icebergs and alpine mountains. Lara steers Pelagic through the brash ice as her father Skip looks on. After a brisk sail across the Drake Passage from Cape Horn we fought our way through late season brash ice for two days and finally moored in front of the station. Rather than roaming around the peninsula we would spend the majority of our time here, assisting the film’s producer and director, along with his wife and two daughters, and otherwise entertaining ourselves by just hanging out, completely unstructured. Kayaking, Zodiac cruising, camping on the glacier, sledding, gathering our drinking water from glacial runoff, hoisting each other to the top of the mast (my daily exercise to keep fit) and our own ad hoc penguin monitoring program, kept us more than busy by day. Evenings were spent making Christmas decorations, conjuring up elaborate meals, updating logbooks and sketch books in between hard fought card games and chess. Every day was a big day, full on until lights out. I have come to the conclusion that the only way for children to realize what they are capable of without relying on a screen is by casting off those lines from our moorings of connectivity. There is only one way to appreciate what it means to fall into zero-degree water in the Antarctic, and that’s by falling into it by design or by mistake. Take risks with your kids. If not, the only sense of risk they will encounter by play or to themselves, will be on the Internet. 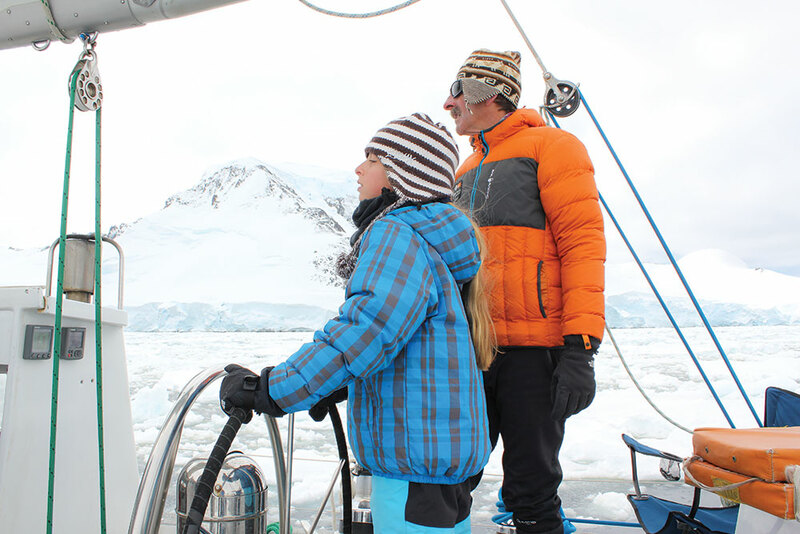 See the full story of the Novak family trip to Antarctica, told by 11-year-old Lara Novak, here.